Residential and commercial property owners in Downers Grove, IL, can count on industry-leading disaster restoration and cleaning services from Rainbow International Restoration of South & West Suburbs. Founded in 2007 by Mr. John Gurtler, we help homes and businesses recover from damage caused by fire, smoke, water, mold, and similar disasters. Our founder’s previous experience in the construction industry, and dedication to providing superior results and customer service, are what drive our founding principles. No matter the scale of the damage, we will get you back on your feet efficiently and effectively. We understand that a disaster can happen at any time and cause serious damage to your property. That is why we are always able to respond to any property-damaging event that you may experience, 24 hours a day. We also help keep your costs low with our economical pricing. We offer a price match guarantee in which we will meet or beat competitive proposals that are also in line with the IICRC’s standard of care. Our technicians are IICRC certified and must pass a background check before they are sent to your home or property. We have professional relationships with local insurance agents and adjusters, home inspectors, property managers, realtors, roofers, and other contractors. We work with all major insurance carriers and provide direct billing to bill your insurance company for a claim. Whenever uncontrolled water or moisture enters your property, it is important to contact restoration experts as quickly as possible. This is because of the warping, discoloration, and other damage that these elements can cause in structural components of your building, as well as your belongings. At Rainbow International Restoration of South & West Suburbs, we offer residents of Downers Grove, IL, 24/7 water damage restoration services. 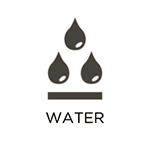 We implement state-of-the-art water extraction and drying equipment, as well as time-tested procedures to reverse any damage before it becomes permanent. 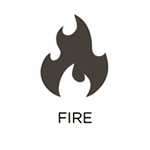 Fires are a significant risk to residential and commercial property owners in Downers Grove, IL. No matter the cause, the damage from the fire itself can be substantial. The same is true for damage caused by resulting smoke and soot. 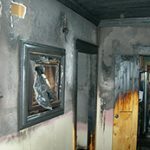 At Rainbow International Restoration of South & West Suburbs, we offer comprehensive fire damage restoration services to address all of these issues and more. Through our services, we will stabilize your property as well as sanitize and restore affected materials and belongings. 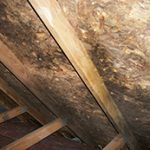 Mold growth is a relatively prevalent occurrence in Downers Grove, IL, because of the ease with which mold can take hold and spread. 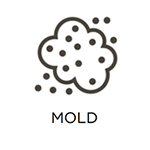 All mold needs to grow is excess moisture and an organic food source. When it appears on your property, it can lead to structural damage, permanently damaged belongings, and various health complications. At Rainbow International Restoration of South & West Suburbs, we offer mold remediation services to remove all traces of mold from your property and restore a safe and healthy environment. Rainbow International Restoration of South & West Suburbs is a leading provider of content cleaning and pack-out services in Downers Grove, IL. We help residential and commercial property owners recover from disasters by specifically addressing their damaged belongings. We restore everything from important documents and business equipment to electronics and artwork. We do this by shipping them to our secure facility for cleaning and repair. We then safely store them until your building is in a proper condition to receive them. Residents of Downers Grove, IL, can count on Rainbow International Restoration of South & West Suburbs for industry-leading smoke and soot removal services, 24 hours a day. Many people are familiar with the consequences of fires, but fewer recognize the harm of smoke and soot. These elements can cause etching and discoloration, as well as permanent damage if left unaddressed. Through our services, we provide proper treatments and restoration procedures to return your property to its original condition. We can provide full deodorization services, as well. A serious accident or violent crime can happen at any time and even though it is rare, you must know how to react in these scenarios for your safety and the safety of others. The first call should be to emergency first responders to arrive on the scene. However, these professionals are not licensed or equipped to handle the cleaning of biohazard materials. 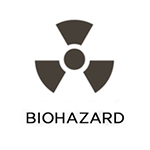 You will also need to call a licensed professional to remove biohazard materials and make the area safe again. 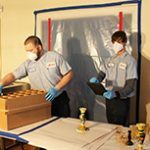 Rainbow International Restoration of South & West Suburbs provides biohazard and trauma scene cleaning services in Downers Grove, IL to thoroughly clean and disinfect scenes contaminated with biohazard materials. Our technicians have the equipment to get the job done safely and effectively and we will always approach these scenarios with compassion for friends and family of the victim. 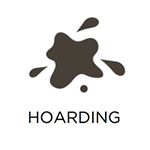 Hoarding is a complicated problem to deal with because hoarding behaviors are caused by an underlying mental condition. 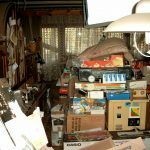 Those affected by hoarding usually have extreme anxiety or depression that makes it very difficult for them to remove anything from their home. This causes clutter to build up to a large degree and create dangerous and unsanitary conditions in the home. It is important to reach out to a hoarder and help them get the cleaning process started. Flood water in a home can be very destructive, but if this water contains sewage, it can cause even more damage and put your health at risk. 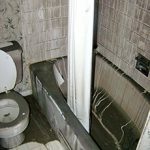 It is common for sewage to enter a home or building mixed with flood water, and it can also come into a home due to a sewage backup. Sewage contains dangerous substances and toxins that can cause a range of heath issues, making it very important to stay away from water that may be contaminated. 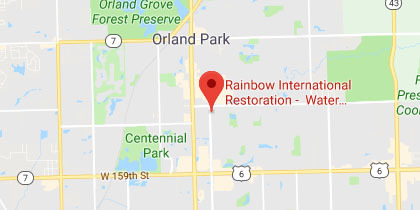 Rainbow International Restoration of South & West Suburbs provides sewage cleanup services in Downers Grove, IL to safely remove flood water that contains sewage. Our technicians will effectively remove all water and moisture as well as thoroughly clean and disinfect the damaged materials. Once someone affected by hoarding has agreed to clean out their home, contact Rainbow International of South & West Suburbs for our hoarding cleaning services. 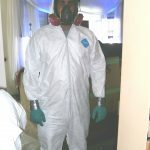 Our technicians are ready to clean and disinfect hoarded homes in Downers Grove, IL and we treat the affected individual with dignity and respect. Foul odors in your home or building are very persistent and difficult to get rid of because they can get absorbed in furnishings and building materials. Smoke odors in particular are especially difficult to deal with as they spread long after the fire is out and even leave soot and residue behind that can cause damage. It is important for smoke odors and the residue to be cleaned up with the proper techniques to avoid additional damage and rid your property of the odor. Rainbow International Restoration of South & West Suburbs provides smoke and odor removal services in Downers Grove, IL to remove odors and clean up damage caused by the smoke. We use advanced deodorization techniques and cleaning products to remove smoke odors and clean up residual damage.